Do আপনি think Lupin despise Snape? Do আপনি think Remus is gay? If so, who do আপনি think he'd like? Do আপনি find him charming অথবা weird? Do আপনি Want The Under শিরোনাম To Be Spell-Checked? Who thinks টঙ্কস্‌ wasn't the best match for Lupin? I mean, she's cool and all that, but she didn't suit him very well. I think even Hermione would have been better for him. In the last book Remus and টঙ্কস্‌ have a baby boy, Teddy. He's the first were-wolf/human hybrid in the history of wizards. What,s going to happen? As ব্যক্ত in the book, he can switch shapes like Tonks, so he might've inherited আরো from টঙ্কস্‌ then Lupin, so he'll be আরো on the human side during the full-moon. a comment was made to the poll: Snape অথবা Lupin ? a comment was made to the poll: Did আপনি like it when টঙ্কস্‌ got married to Lupin? a comment was made to the poll: Is Remus your পছন্দ Harry Potter character? 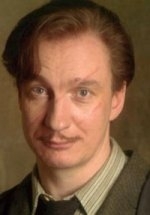 a comment was made to the poll: Do আপনি think that Remus Lupin teach the defence against the dark arts well? What did James call Remus' were-wolfness in public?